I'm keen to know peoples views on the 'new' Gaggia classic? I used to be an owner of the old machine (circa 2007 - 2015) which I was very fond of. Through cruel twists of fate, I am currently using the Delonghi Dedica... a machine as useful to making coffee as what ukuleles are to performing the works of Black Sabbath (and no, Paranoid does not and will not ever sound good on a ukuele). I've read that there are some differences between the 'new' classic and the 'old' classic.... some good, some bad. Can anyone recommend the classic, or for similar money, are the other alternatives? Have a look at the Choice 2018 tests. The Gaggia and other machines are tested there. What is your budget range for the machine mate and do you already own a decent grinder? From mention the other day, i inferred that the non appliance machines didnt get any 'coffee snob' points. You know, for looking awesome, quality internals, resale....all that. And, im not a member. What were the results..
That's solid gold advice, but seeing as this is a coffee forum, I thought I'd actually try and engage with people who are using the machines. Thanks for the tip though. As for the grinder I have the Dedica KG 521 that came with the dedica. It's OK. Far better product than its sister espresso machine. Will be wanting to upgrade that at some point, though. I am not a member either, saw it at my local library. The mid price Brevilles got the medals . Choice also tested grinders as well. Breville again. I am intrigued by the taste assessments they do. As fas as I am aware no one does anything equivalent. But as I have said before longevity isn't tested. 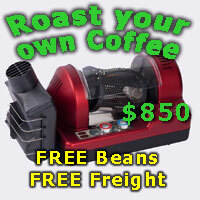 With a budget of $600, I'd advice you to consider a much loved CSer machine that may be listed in the 4-Sale section. This is one way of 'jumping the queue' in the quality stakes when looking to step up to a better machine. 'd advice you to consider a much loved CSer machine that may be listed in the 4-Sale section. Mal, thanks for replying - without sounding like a dumbass, what is a CSer machine? I'm assuming a Cofffee Snobs forum member machine...? If so, what should I be looking for? But as I have said before longevity isn't tested. A machine owned by a member here and up for sale in the Coffee Hardware For Sale forum. Have a look through the For Sale section and see what grabs your eye for price, options, and appearance. Then look up those machines in the discussion forums to see what people have to say about them. The old Classic was made in italy, the new one Romania. There may be some other differences, this information might not be correct, but either way, this has led me to think that a new 'classic' isn't so appealing. Gaggias: Yep, the older ones make a decent cuppa, the newer ones need to be beaten into submission to perform. As a "long term ex-owner" of a Silvia (among many others) and current owner of a La Pav 2 group, a SB7000 (2014) and 2 * SB6910s (2008) I vastly prefer the 6910 - it is a "real" espresso machine. The 7000s "milk auto frother" drives me mad, and the longer I use it the more it pi***es me off. Even worse, due to the (lack of) noise (and micro kitchen) the 7000 is my "first cuppa each day" machine as the others are banned from the house due to their noise levels. The 7000 does make a good coffee with minimal effort - just not quite as good as the 6910 (just like the new Gaggias). I believe the newer Silvias (finally!) have a low water indicator. For many years older ones were always lined up in repairer workshops with blown boilers (run it low on water once...) - a $500 repair here in the West (not mine, I am careful with my gear). Also, if you prefer milk with your cuppa, the Silvia takes forever to switch between pulling a shot and frothing milk. On top of that, you either need to install a PID or temp surf the thing to make it work properly. Finally, none of the Silvia skills transfer to commercial machines readily. The last 5 years I had my Silvia it mainly frothed milk. FWIW, if you are willing to tinker and really understand how a machine works I would suggest you buy a secondhand older (pre 2010) 6910 - they give years of good coffee. Any repair parts would be a lot less than your budget. Other than that - good luck with your search. Last edited by TampIt; 14th March 2018 at 11:52 AM. Yep. There are far better options than the new Gaggia Classic for similar or not much more money. Looks like I am going for the Silvia. Silvias are a great "bang for buck" machine. The time needed to switch between brew and steam is not that great really and I also don't think they need a Pid installed on them. I own both a Silvia and an old Gaggia with a Silvia wand installed on it (both used at work and taken on holidays). Both produce a great shot provided you have a decent grinder and freshly roasted beans. However, the steam power on the Silvia is much quicker and superior to the Gaggia therefore making it well worth the extra $200 or so in my opinion. Dimal and Rawshack like this.